The Zebra ZXP Series 3 single-sided ID Card Printer with Magnetic Encoding and Ethernet (item# Z31- 0M0C0200US00) is a professional solution to print and encode high-quality ID cards and badges. Packed with user-friendly features, this printer offers incredible value with dazzling print quality at a low cost of ownership. The Zebra ZXP Series 3 printer produces single-sided badges at a rate of 700 cards per hour in monochrome and 180 cards per hour in color (YMCKO). For a faster throughput, this card printer is equipped with a 100-card covered feeder (30 mil) and a 45-card capacity output hopper (30 mil). Plus, Zebra's ZRaster� host-based image processing technology guarantees superior print quality for all your cards. With its intuitive design and color touch points, the Zebra ZXP Series 3 card printer is easy to operate. The printer uses Load-N-Go� drop-in ribbon cartridges that are automatically recognized by the printer driver. Its 16-character LCD operator control display will give you instant printer status notifications. Issuing multi-feature badges affordably is finally a reality with the ZXP Series 3 card printer. Its magnetic encoder will read and encode data on demand to issue access control badges, loyalty cards, gift cards or financial cards on the spot. Zebra has developed high-capacity ribbons to get more prints per roll at a low cost per card. With 280 images per roll for a YMCKO ribbon, you�ll maximize productivity and increase your card production rate. Zebra�s ribbons are eco-friendly: cartridges and cores contain a special additive that speeds up biodegrading. Made with recyclable plastic, the ribbon cassettes are great on the environment. The ZXP Series 3 card printer supports a wide range of card thicknesses from 10 to 40 mil. 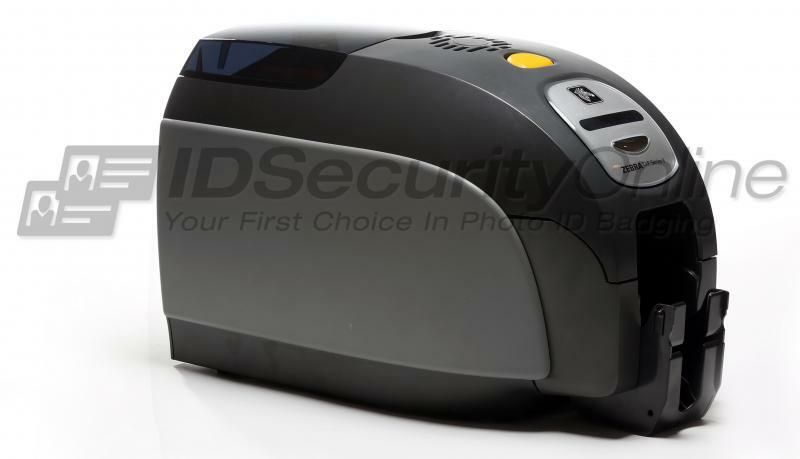 For security purposes, the printer includes a Kensington� secure lock slot. The ZXP Series 3 also features Zebra Print Touch�, an embedded Near Field Communication (NFC) chip and software. Hold your NFC enabled smartphone up to the Zebra Print Touch logo on the printer to get online product information and support. The ZXP Series 3 card printer is compatible with all Windows systems, including Windows 8. 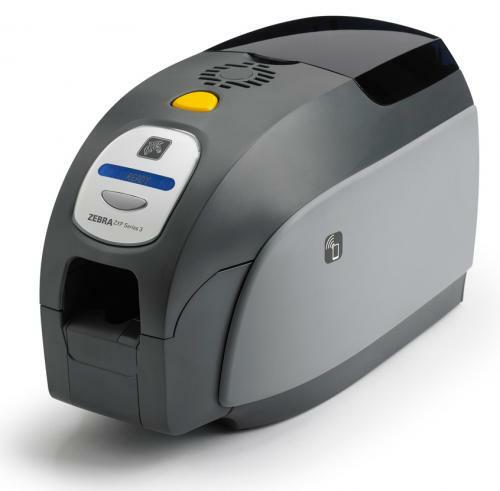 The Zebra ZXP Series 3 card printer comes standard with Ethernet connectivity. You can easily connect your printer to a network and issue badges from different workstations. The Zebra ZXP Series 3 card printer comes with a 2-year warranty on printer and printhead. NOTE: The ZXP Series 3 printer is designed to work only with Zebra True Colours ix Series ZXP 3 high-performance ribbons. The Zebra ZXP Series 3 Single Sided ID Card Printer with Magnetic Encoding & Ethernet features a 2-year warranty on printer and printhead, plus 1 year printer loaner coverage.